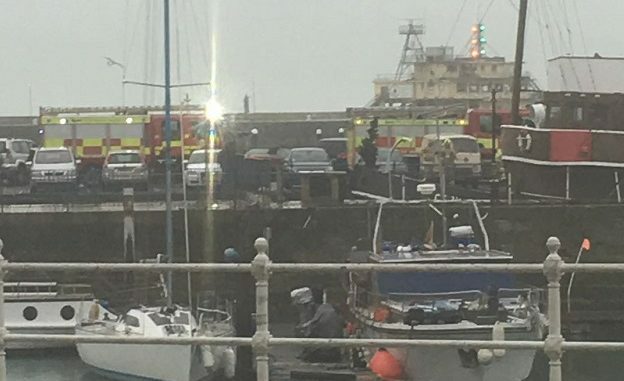 Fire crews and divers are currently at Ramsgate harbour assessing tug vessel Cervia following an RNLI operation to bail her out last night (November 27). 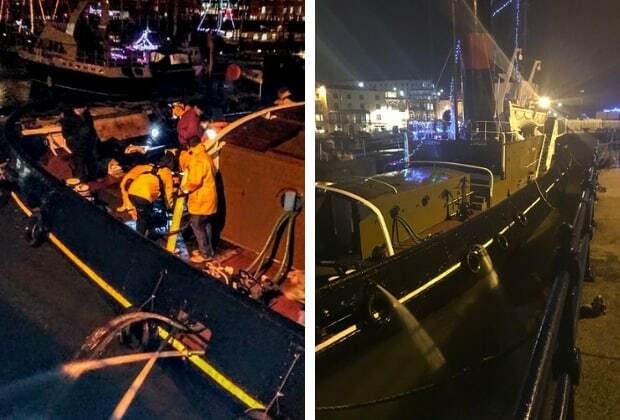 The 320 ton vessel, built in 1946 as a seagoing tug for use as a fleet auxiliary, was taking on water due to a ‘large hole; that the crew sandbagged. Currently the vessel is sat on the bottom of the harbour- not under water as the depth is shallow. An RNLI spokesperson said the hole is approximately the size of a football.